We’ve all been there: you want to keep up with the latest industry news, but who has the time? It’s hard to find extra hours (or even minutes) in a day to pore over books, articles and white papers. But for modern accountants and bookkeepers, staying in touch with new developments in the financial world is essential. Fortunately, there’s a simple — and enjoyable — solution that’s just a click away: podcasts. 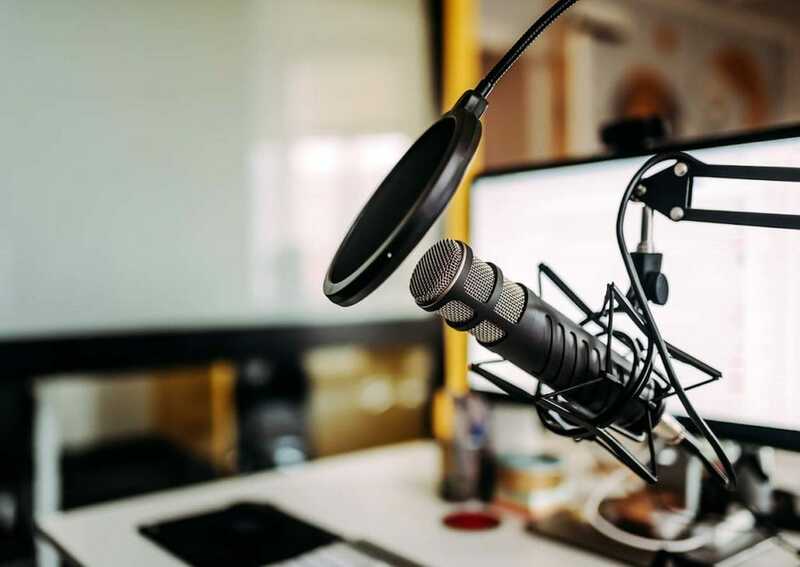 In the last few years, podcasts have grown in popularity as listeners realize how they can liven up a daily commute, workout or morning routine. And as their popularity has grown, so too has the range of topics covered by these modern radio shows. Podcasts for accountants and bookkeepers run the gamut from informative and authoritative to creative and humorous. Whether you want to keep up with professional trends, explore a new part of the financial services industry, research a career move, or simply liven up your commute, there’s a show out there for you. When you’re ready to dive in, here are eight awesome accounting podcasts for you to try. Launched during the financial crisis of 2008, Planet Money brings experts and luminaries from across industries together in an attempt to make sense of what’s going on with the economy. Known for its creative and entertaining content, this award-winning podcast investigates current events to expose the bigger picture. Planet Money is sponsored by National Public Radio and co-hosted by various NPR journalists including Alicia Chang, Joseph Goldstein, and financial author Cardiff Garcia. Recent episodes feature an exploration of how stolen money moves around the globe, a rethinking of modern monetary theory, and informal discussions with employees of the Central Bank. When you listen to this podcast, you’ll hear from the most influential names in the business. This interview-style show features accountants and financial professionals from a variety of fields, offering an inside look into the many career channels available. Recent guests include a forensic accounting expert, an analyzer with the FBI, accountants at a thriving new firm, and more. If you’re curious about branching out into other areas of your field, Life In Accounting won’t disappoint. Podcast host, CPA, and author Mark Goldman has more than 20 years of experience in the industry, and the podcast has more than 100 episodes you can download. Don’t have time to keep up with the latest tech, news, and regulations? Tune in to CPA Conversations for updates and in-depth looks into trending news, technology developments, and other hot topics in the accounting field. Recent episodes focus on topics like using the cloud, the benefits of well-designed enterprise risk management systems, the implications of the Tax Cuts and Jobs Act, and how recent court decisions can impact your job. In 2018, special guests have included journalists, IRS leadership, and influential financial professionals. The podcast is hosted by Bill Hayes, Pennsylvania CPA Journal Managing Editor, and sponsored by the Pennsylvania Institute of Certified Public Accountants. Based on Stephen Dubner’s uber-best-selling book, Freakonomics Radio is just as creative as its namesake. When you listen to this podcast, you may find yourself listening to the head of the World Trade Organization vent about trade tariffs, a conversation about the meaning of success with an Olympic gold medalist, or a first-hand exploration of why it’s so hard to succeed at opening a restaurant. With more than 300 episodes stretching back to 2010, you never know what you’ll find when you delve into this outside-the-box look at economics and culture. As its title indicates, this podcast is all about how to grow your accountancy or bookkeeping practice. What sets this podcast apart is its dual focus on both the steps you need to follow to help your practice thrive and the theory underlying these steps. Grow My Accounting Practice is hosted by Mike Michalowicz, an entrepreneur and business author. He also brings in experts in areas such as marketing, sales, and HR to help accounting professionals create successful practices. Recent episodes include a deep dive into how improving customer service can help your bottom line and how to grow your business using webinars. Listen to top accounting professionals, thought leaders, and educators from around the globe. While no longer releasing new episodes, The Abacus Show offers entertaining interviews and discussions to help financial professionals take their careers to the next level. Host Bob the CPA covers topics like making the most of professional organization memberships, how to work in emerging industries such as marijuana, and how to learn from others’ mistakes. Whether you want to learn about going digital, new job opportunities, or going back to school — here you’ll always find candid career advice in an engaging format. The world of accounting moves quickly, thanks to ever-changing regulations and trends. Keep up with the latest news with the Accounting Today podcast. Hosted by Daniel Hood, editor of Accounting Today and Tax Pro Today, this show will help you dive into topics like taxes, auditing standards, and mergers and acquisitions. Previous episodes include a discussion of recent changes at the Auditing Standards Board, a look at how the Tax Cuts and Jobs Act has set off a global tax conflict, and an analysis of trends in mergers and acquisitions. Hood brings experts from various fields onto the show to offer deeper insight into the complex issues affecting accountants today. Brought to you by Lifestyle Accountant, Accountants Doing Cool Sh*t isn’t just a podcast — it’s also a worldwide networking group. Although new episodes haven’t been released recently, this fun show is still worth a listen. Hosted by Matt Roberge and featuring special guests like Guy Pearson, Andrew Argue and Chris Hooper, this show is about accounting professionals who are using their skills in innovative and creative ways. Previous topics include how to make yourself successful by making yourself obsolete and the steps to take if you’re just not happy in your position. If you’re ready to liven up your daily commute, why not give one of these accounting podcasts a listen? Not only will you stay up-to-date in your field and access helpful career advice — but you’ll be entertained to boot. It’s a win-win-win for busy accountants and bookkeepers everywhere.